You keep hearing about the need to improve your impact measurement and/or management but you don't really know how well are you doing in this field, and what steps you could take to improve? 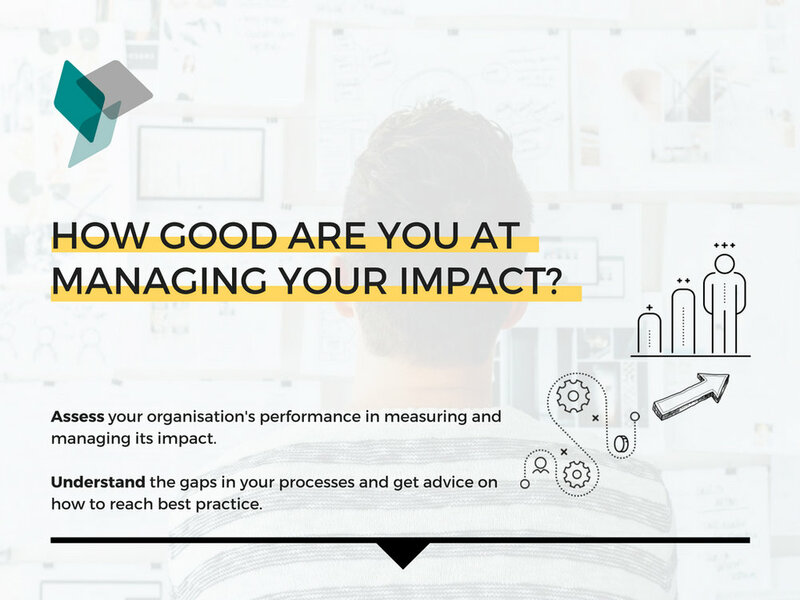 This self-assessment tool will help you assess your organisation's performance, gain insights on good practices and get some tips on how to become an impact expert! Organisation's type: this tool has been designed for purpose-led organisations: charities, social enterprises, profits-with-purpose. Size: Whether you work for a small start-up or an important charity, this quiz is for you. We understand that small organisations do not have the same needs and resources than bigger ones, and that impact management may not be their daily priorities. This is why we take the number of employees into account in our assessment. Required level in impact measurement: If you are at the very beginning of your impact management journey, or if these concepts are not clear for you, we advise you to participate, we hope this will help you have clearer ideas about it! If, on the contrary, you consider that you are already aware about impact measurement and management, take this quiz to test your organisation's practices! In other words, there is no required level in impact measurement.